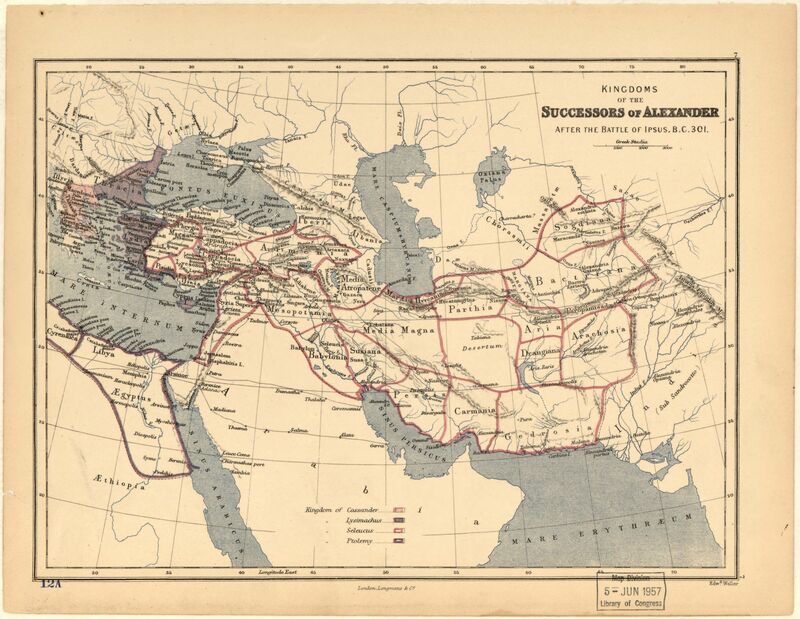 Edward Weller, Kingdoms of the Successors of Alexander: After the Battle of Ipsus, B.C. 301, 1:17,000,000, (London: Weller, ca 1860). Source: Library of Congress, http://www.loc.gov/item/2013593022.